The official records of the V Amphibious Corps at Iwo Jima occupy 27 boxes in the USMC archives. Within this maze, the most useful information can be found in the "comments and recommendations" sections of the After Action Reports filed by the major units. The best published official account of the battle is contained in George W. Garand and Truman R. Strobridge, Western Pacific Operations. vol IV, History of U.S. Marine Corps Operations in World War II (Washington: Historical Division, HQMC, 1971). Three other official accounts are recommended: LtCol Whitman S. Bartley, Iwo Jima: Amphibious Epic (Washington: Historical Division, 1954); Capt Clifford P. Morehouse, The Iwo Jima Operation, and Bernard C. Nalty, The U.S. Marines on Iwo Jima: The Battle and the Flag Raising (Washington: Historical Branch, G-3 Division, HQMC, 1960). Chtr 10 of Jeter A. Isely and Philip A. Crowl, The U.S. Marines and Amphibious War (Princeton, N.J.: Princeton University Press, 1951), combines exhaustive research and keen analysis of the assault on Iwo. Three of the many postwar published accounts are particularly recommended: Richard F. Newcomb, Iwo Jima (New York: Bantam. 1982); Richard Wheeler, Iwo Jima (New York: Crowell, 1980); and Bill D. Ross, Iwo Jima: Legacy of Valor (New York: Vanguard Press, 1985). The most comprehensive Japanese account is contained in Part II ("Ogasawara Islands Defense Operations") in Chubu Taiheyo rikugen sakusen (2) [Army Operations in the Central Pacific, vol II], part of the Senshi Sosho War History Series. Of Japanese accounts in English, the best is Major Yoshitaka Horie's "Explanation of Japanese Defense Plan and Battle of Iwo Jima," written in 1946 and available at the Marine Corps Historical Center (MCHC). The MCHC maintains an abundance of personal accounts related to Iwo Jima. Among the most valuable of these are the Iwo Jima comments in the Princeton Papers Collection in the Personal Papers Section. The Marine Corps Oral History Collection contains 36 well-indexed memoirs of Iwo Jima participants. The research library contains a limited edition of Dear Progeny, the autobiography of Dr. Michael F. Keleher, the battalion surgeon credited with saving the life of "Jumping Joe" Chambers on D+3. The Personal Papers Section also holds the papers of TSgt Frederick K. Dashiell, Lt John K. McLean, and Lt Eugene T. Petersen. For an increased insight, the author also conducted personal interviews with 41 Iwo veterans. The author wishes to acknowledge the contributions of Marvin Taylor of the Marine Rocket Troops Association; Helen McDonald of the Admiral Nimitz Museum: Frederick and Thomas Dashiell; LtCol Joseph McNamara, USMCR; BGen James D. Hittle, USMC (Ret); Mr. Bunichi Ohtsuka; and the entire staff of the Marine Corps Historical Center, whose collective "can-do" spirit was personified by the late Regina Strother, photograph archivist. Colonel Joseph H. Alexander, USMC (Ret), served 29 years on active duty in the Marine Corps as an assault amphibian officer, including two tours in Vietnam. He is a distinguished graduate of the Naval War College and holds degrees in history from North Carolina, Georgetown, and Jacksonville. 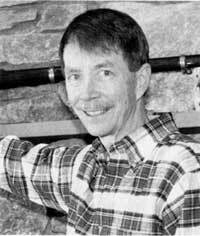 He is a life member of both the Marine Corps Historical Foundation and the Naval Institute, a member of the Society for Military History, the Military Order of the World Wars, and the North Carolina Writers' Workshop. Colonel Alexander, an independent historian, wrote Across the Reef: The Marine Assault on Tarawa in this series. He is co-author (with Lieutenant Colonel Merrill L. Bartlett) of Sea Soldiers in the Cold War (Naval Institute Press, 1994) and the author of "Utmost Savagery: the Amphibious Seizure of Tarawa" (Naval Institute Press, pending). He has also written numerous feature essays published in Marine Corps Gazette, Naval Institute Proceedings, Naval History, Leatherneck, Amphibious Warfare Review, World War Two, and Florida Historical Quarterly.